Every year, stars from our tinsel town gather together to perform in the cultural fest of Mumbai Police officers. Yesterday too was the occasion when the film fraternity enthralled the true saviors of the city with their sizzling performances. Out of many performances by Katrina Kaif, Janhvi Kapoor, Sara Ali Khan, Anil Kapoor, Vicky Kaushal, Parineeti Chopra, Ayushmann Khurrana, Kartik Aaryan are amongst the ones who stood out. Newbies Sara Ali Khan and Janhvi Kapoor made their presence felt remarkably with both their looks and performances. Sara Ali Khan who recently swooped the box office with Simmba and Kedarnath was seen all dolled up for the event. Janhvi too was dressed in a lehenga in cream color. It had intricate embellished work along with sequins all over. Janhvi looked ethereal and she completed her look with big emerald earring with pearl drops. 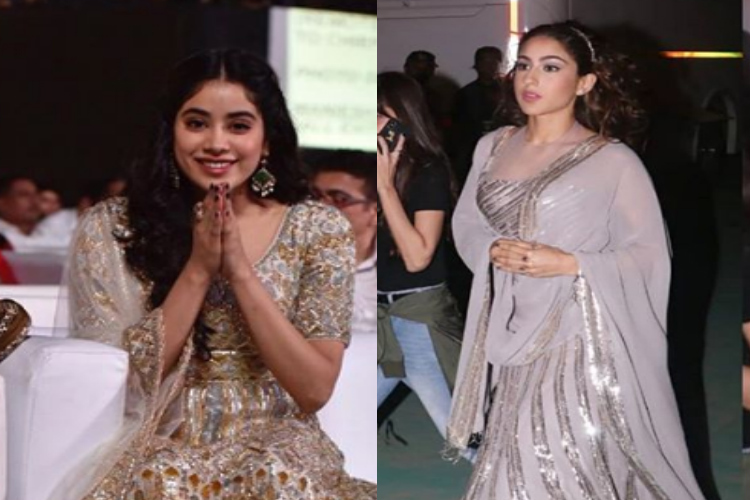 Both Sara Ali Khan and Janhvi Kapoor are embodiments of grace and poise and this time too the two maintained their elan with perfection. While Sara is riding high with her recent clock busters, Janhvi is prepping hard for her next. Glad to do some performance-oriented films: Aahana Kumra Shraddha Kapoor looked remarkably GORGEOUS at a recent event!